The first week of the 2015 MLS soccer season went ahead as scheduled this past weekend. The league and the Players Union were able to agree to a new deal that prevented the first work stoppage in MLS history. 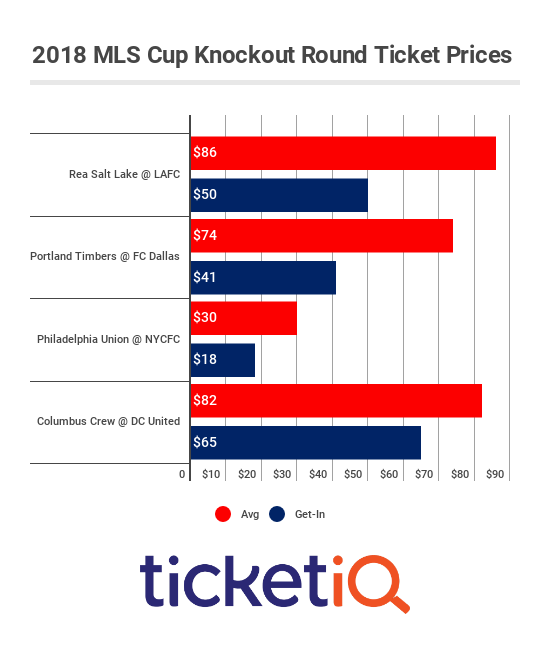 The top MLS tickets on the secondary market this week are consistent in price compared to last week’s, as only one game has tickets with an average asking price of over $100. Here’s a breakdown of the top five MLS tickets of the week on the secondary market, according to TicketIQ. The Seattle Sounders represent this week’s top MLS tickets as they host the San Jose Earthquakes this Saturday at CenturyLink Field. Sounders tickets are going for a current average price of $121.81 on the secondary market, with the least expensive ticket to get in priced at $27. This Sunday, new expansion team New York City FC will host their first home game of the season at Yankee Stadium against the New England Revolution. New York City FC tickets for Sunday’s home opening game are going for a current secondary average price of $84.76, with a get-in price of $34. The Portland Timbers kicked off their 2015 season with a tie with Real Salt Lake. They’re home again this week hosting the defending MLS Cup Champion LA Galaxy at Providence Park this Sunday. Timbers tickets for Sunday’s game are going for an average price of $67.02 on the secondary market, with a get-in price of $36. The Houston Dynamo are coming off a win over Columbus Crew to kick off their season as they host the Orlando SC this Friday at BBVA Compass Stadium. Dynamo tickets for Friday’s game have a current average price of $54.57 on the secondary mark, with the least expensive ticket to get in priced at $26. The Columbus Crew kicked off their season with a loss to Houston on the road and will return home for their home opening game this Saturday against Toronto FC at the MAPFRE Stadium. Columbus Crew tickets for Saturday’s game are going for a current secondary average price of $42, with a get-in price of $15.